Located 240 kilometres east of Darwin in Australia’s tropical north Kakadu National Park is the largest national park in Australia. The park covers almost 20,000 square kilometers it is approximately the size of Israel. This unique archaeological and ethnological reserve has been inhabited continuously for more than 40,000 years. Approximately 300 Aboriginal people reside in the park, including traditional owners and Aboriginals with recognized social and traditional attachments to the area. 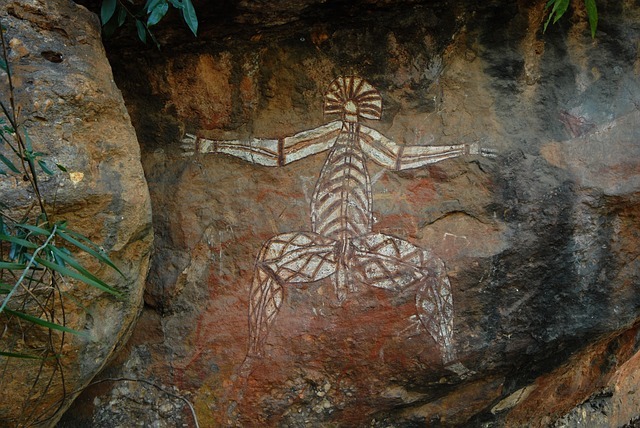 The park contains one of the highest concentrated areas of aboriginal rock art sites in the world; the most famous examples are at Nourlangie Rock and Ubirr, sacred and art sites. The traditional owners Bininj Mungguy have lived on and cared for this country for more than 50,000 years. 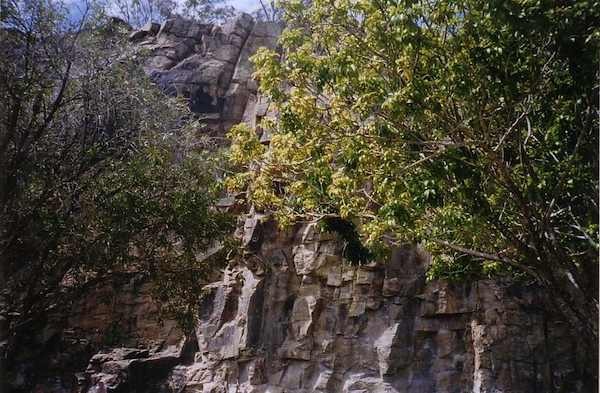 Their deep spiritual connection to the land dates back to the Creation and has always been an important part of the Kakadu story. The secret to discovering Kakadu is taking your time. You’ll find stories, secrets and sights never imagined. It is impossible to appreciate the full breadth and beauty of the park in a fleeting visit – if you can afford the time, spend a week or more. 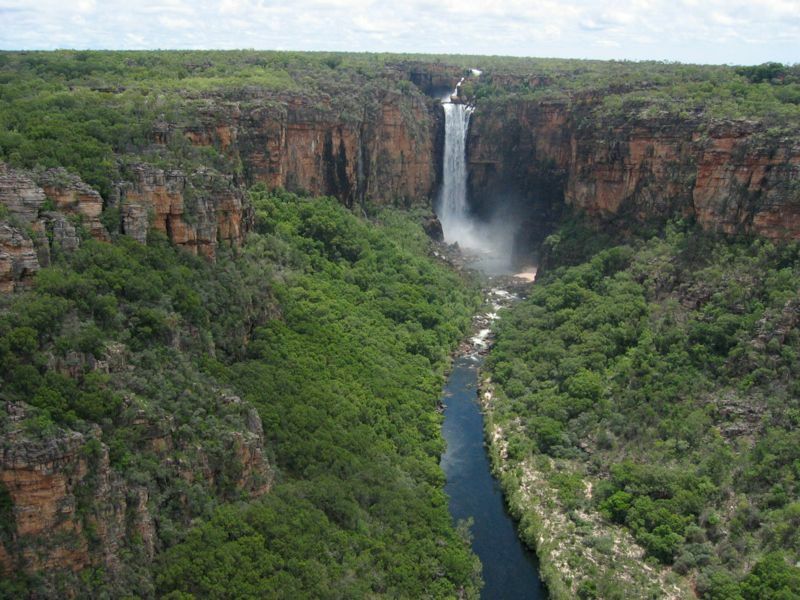 Because of its diversity of land systems from marine and coastal habitats (which support substantial turtle and dugong populations) through to the arid sandstone escarpment, Kakadu is one of the world’s richest wildlife parks. Is home to 68 mammals (almost one-fifth of Australia’s mammals), more than 120 reptiles, 26 frogs, over 300 tidal and freshwater fish species, more than 2 000 plants and over 10 000 species of insects. It provides habitat for more than 290 bird species (over one-third of Australia’s birds). Its internationally important wetlands are a major staging point for migratory birds. Some of these species are threatened or endangered. Many are found nowhere else in the world and there are still others yet to be discovered. The Creation Ancestors gave Bininj/Mungguy a kinship system linking people to all things and the cultural responsibility to look after them all. They have always understood the biodiversity of country and their traditional ancestral knowledge is a vital part of managing Kakadu’s rich environment. Uluru is a large sandstone rock formation in Uluṟu-Kata Tjuṯa National Park in the southern part of the Northern Territory in central Australia. 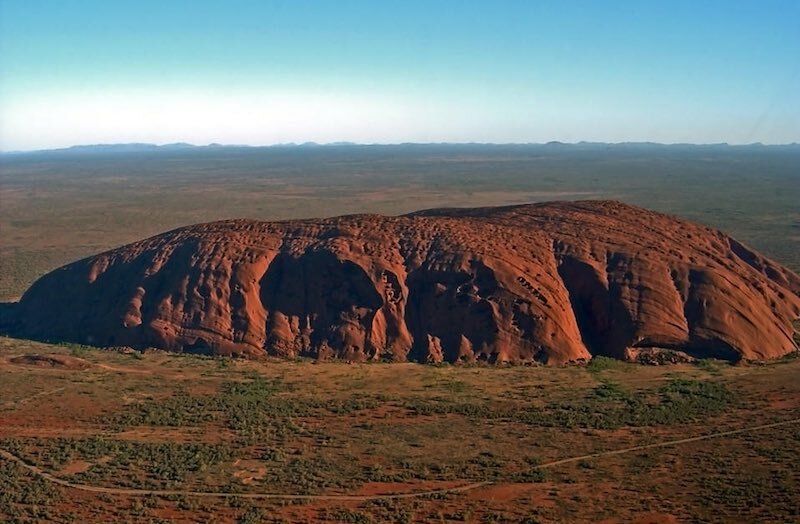 Uluru is one of Australia’s most recognisable natural landmarks. The sandstone formation stands 348 meters high and has a total circumference of 9.4 km. Uluru has great cultural significance for the Aṉangu people, the traditional inhabitants of the area, who lead walking tours to inform visitors about the local flora and fauna and bush foods. The park is listed as a World Heritage Site. Queensland Gallery of Modern Art in Brisbane is located next to the Queensland Art Gallery in the South Bank area. The architecture of the building is worth appreciating in addition to the art held within it. And outside you have great views overlooking the river. 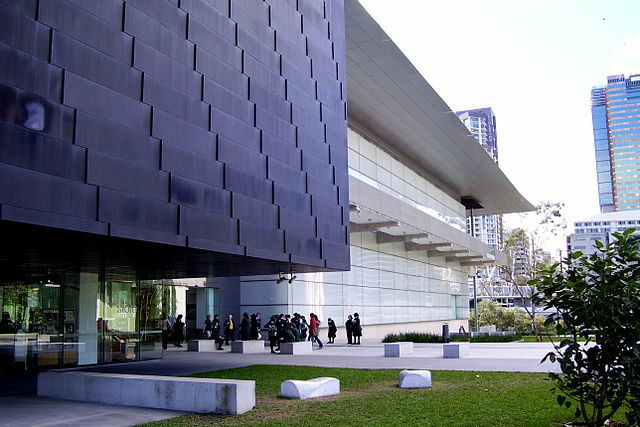 The Queensland Gallery of Modern Art is a highlight of a Brisbane trip for any art lover. The collection includes Indigenous Australian Art, Contemporary Australian Art, Contemporary Asian Art and Contemporary International Art. The international collection includes: La Belle Hollandaise by Pablo Picasso, 1905; Three dancers at a dancing class by Edgar Degas, c.1888-90; and Virgin and Child with Saint James the Pilgrim, Saint Catherine and the Donor with Saint Peter c.1496. You’ve decided to travel to the capital of Queensland, Australia, glorious Brisbane, also known as the River City or Australia’s New World City. Surely if you’ve got the budget to rent a villa, there are loads of ways to party and have fun in this populous and vibrant city. But what can you do in Brisbane on a budget? If you’re worried you might get bored, if you imagine that Brisbane is no place for a less costly vacation, allow us to inform you that all your worries end here. Brisbane tourism is one of the city’s most important sources of income. No wonder, given the impressive number of landmarks scattered all over the city. There are so many parks, rocks, bridges, museums and shopping malls that you’ll have a hard time deciding what to do and where to go first. However, if you’re willing to take our word for it, there are at least three sure fire ways to have fun while in Brisbane on a budget. All three hotspots are listed and described below, to help you plan the perfect stay in Brisbane. Irrespective of the contents of your wallet, of course. There are perhaps many skeptics that will go, “Right, watching a river flow past… That sounds like fun… Not!” Think again, cynics. The Brisbane River, the longest in south east Queensland is no ordinary course of water. Since tourism is a pivotal aspect of Brisbane economy, you will discover that there are many things to do and sights to see along the course of the river. A popular spot are the Kangaroo Point Cliffs. They might not seem so, but they’re man-made. They were created before the early nineteenth century and comprise Ignimbrite, a type of volcanic rock that is over 220 million years old and dates all the way back to the Triassic period. Those of you who simply like to kick back and admire the view will be happy to discover that the rocks are lit all night via many flood lights. The more adventurous will surely be happy to partake in some rock climbing. There are also several great picnic spots and electric barbecues in the park by the foot of the rocks. 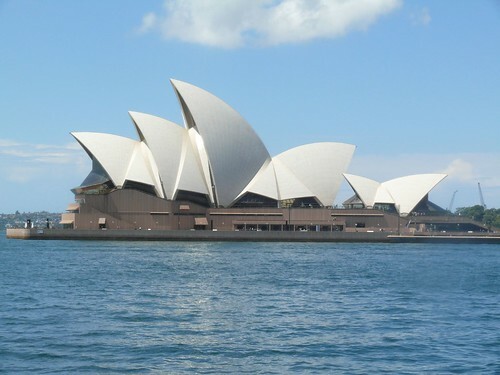 Sydney Opera House has become the icon of Australia. 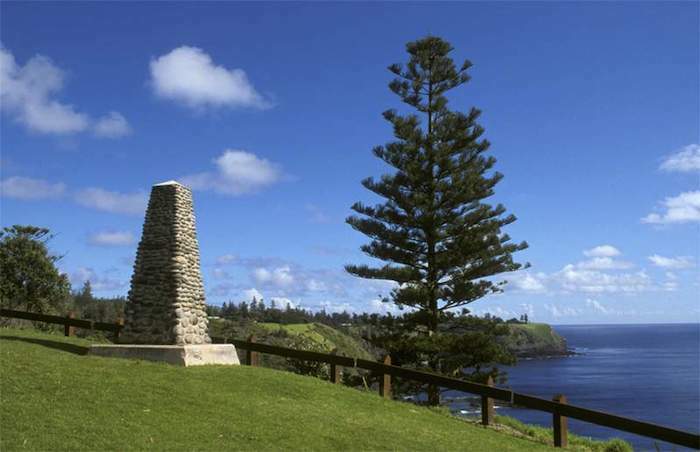 Since it was designed 50 years ago by Jorn Utzon, it has become a tourist spot never to miss when visiting Australia. The Sydney Opera House is a performing arts centre venue for performing different theatrical plays and musicals. In 2007, it has been awarded as a UNESCO World Heritage and branded as one of the architectural breakthroughs. With so much praises about the Sydney Opera House, there is no wonder why tourists make it a point to see this icon up close. Even those who are not inclined in theatrical and performing arts find the place a must to visit. There is no best time to visit the place because every day is a perfect day to drop by. Even without any concerts or productions happening, you can have guided tours to learn more about the place ad have deeper appreciation about it. You can contact the management to inquire of available tours and rates. You can choose to have advance bookings to make sure that you get slots on your preferred schedule. Situated in Benelong Point, Sydney Harbour, the Sydney Opera House is near another famous Australian landmark, the Sydney Harbour Bridge. 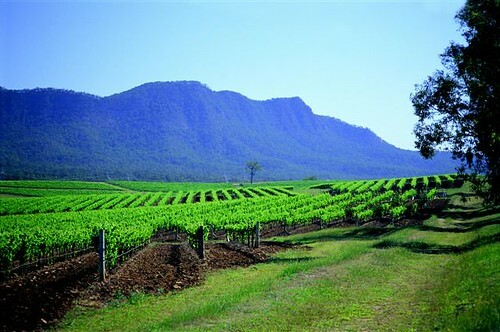 You can easily navigate around the area since it is very near the central district of Sydney. Using the latest innovation in terms of theme park slides technology, Whitewater World offers the Super Tubes HydroCoaster. This is one of many great water rides at the Gold Coast Whitewater World. This is your rollercoaster version of slides. Visitors experience adrenaline pumping slide as they get to the terrifying twists and step drop along the way. The water slide boasts the steepest drop while sliding at a very fast speed. The next 28 seconds of your life will be filled with heart pumping adrenaline rush as you ride in a special raft for two and blasted from an 18 meter high tower in the Super Tubes HydroCoaster.